Karishma Sharma and Darshan Raval have been making major headlines with their new music video amidst the beautiful snows. They are actually shooting for Darshan Raval’ next musical Kaash Aisa Hota. Karishma has earlier sizzled the small screen with her presence in TV shows and web series. She had earlier featured in Pavitra Rishta to Pyar Ka Punchnaama. She was then seen in life Sahi Hai. Karishma then featured in the very famous song ” Tera Ghata” . She played the real in the super hot web series Ragini MMS: Returns. She is now seen featuring in the music video Kaash Aisa Hota which will be sung by a huge youth icon Darshan Raval. It has been shot across beautiful winter locations of India. 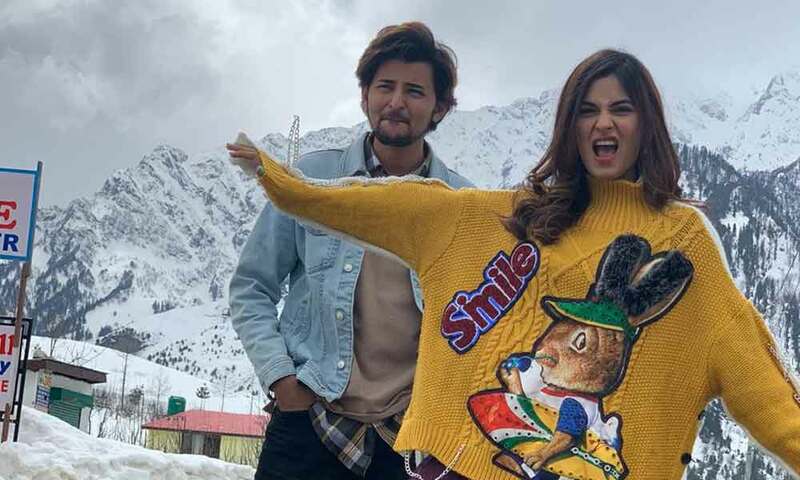 Darshan Raval will be singing the song and he will be featuring alongside Karishma Sharma. Previous articleSanjay Leela Bhansali Wins Best Director At The Zee Cine Awards!